Hello Everyone-For the past year I have been living and kayaking the rivers and lakes of the Pacific Northwest. This is an area with unlimited kayak fishing potential. 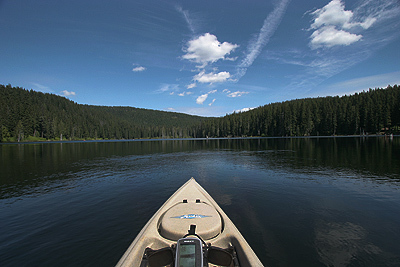 Many of the backcountry lakes are perfect for kayak fishing. The ocean has great fishing as well, the water conditions make it a challenge sometimes, but hooking up with an ocean salmon, halibut or cod makes it worthwhile. 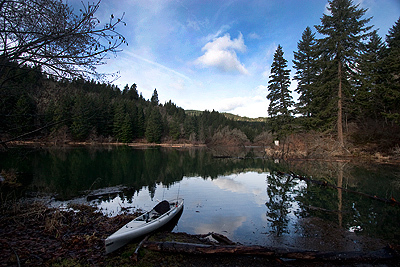 Check out the PacNW Kayak Fishing Photos and the PacNW Kayak Fishing Video. I keep adding stuff when I can, but I live out in the woods with no TV or internet, I'll check in when I come into town. Good to hear from you! Sounds like you're living someone's dream out in the boonies. Despite a little rain and snow from time to time, it's not too bad. 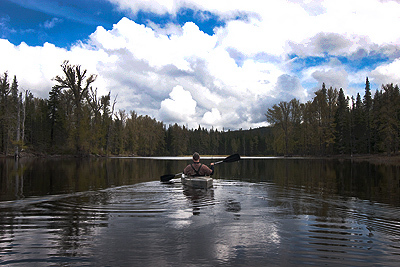 It's all brand new as far as kayak fishing goes; giant sturgeon and salmon as well as bass and walleye in the big river, rainbow, brown, lake, brook and bull trout in the backcountry lakes and salmon, halibut, cod and rockfish(and a few sharks) out at sea. 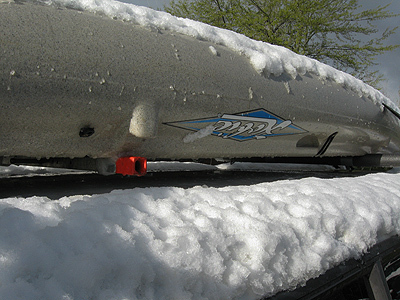 Another winter has come and gone and it's time to start kayak fishing again. 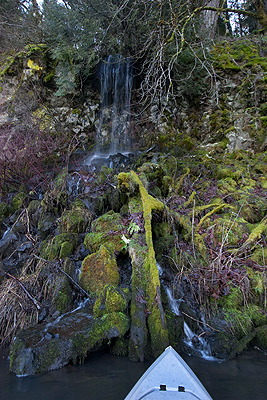 The weather is warming up and last Saturday was the opening day for trout season. There are so many places to fish and so many different kinds of fish to go for, there aren't enough days to hit everyplace when the fishing is good. 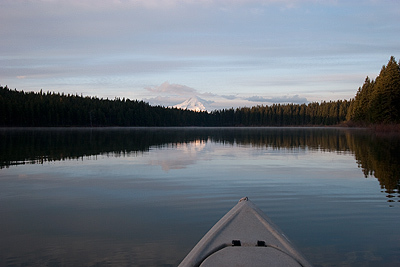 In many places, there are few, if any fishermen and very few kayak fishermen. 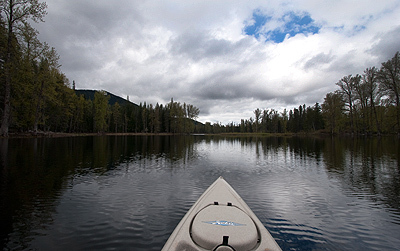 On some of the more remote lakes, I'm pretty sure no one has ever used a kayak to fish there. As soon as the snow melts from the backcountry lakes, I'll be headed up to check out some places that I'm sure that no kayak fishermen have ever been to. Probably the only watercraft used to fish these lakes have been canoes; it's been that way since Lewis & Clark passed through. 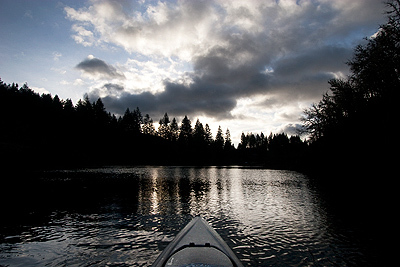 I've posted some photos at Pac NW Kayak Fishing Photos and there are videos at PacNW Kayak Fishing Video. I try to add photos and videos as soon as I can when we return from our adventures, sometimes it takes a couple days to get back to civilization. You can check the Blog if you are interested in what it's like up here. The summertime fishing up here in the Pacific NW has been fantastic. The trout fishing early was really great and the smallmouth bass in the Columbia River made for a lot of fun kayak fishing. Now the big boys; king and silver salmon, as well as the big ocean run steelhead are in the local rivers making for really exciting fishing. There have been record runs of steelhead, plenty of nice fish being caught. 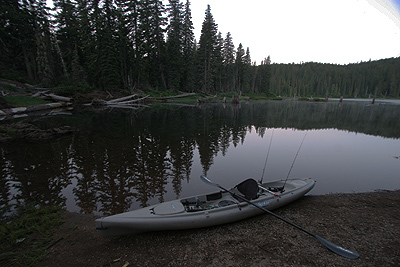 Kayaks are an ideal way to fish here. I've posted more photos at PacNW Kayak Fishing Photos, check it out to see what kayak fishing is like here in the upper left hand corner of the USA. The spring salmon are running, the local lakes are freshly stocked with trout and walleye and smallmouth bass are biting in the Columbia River. 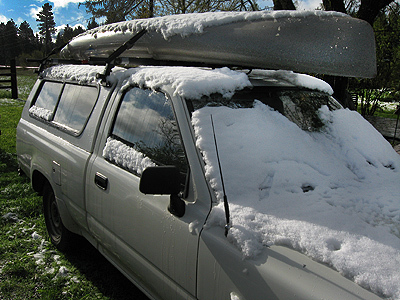 Snowed last night but should be in the low sixties tomorrow, good to go. 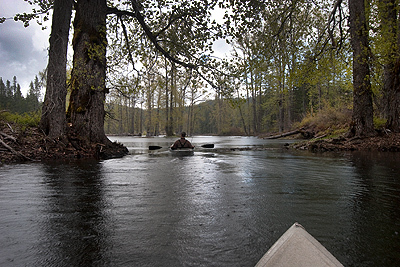 The spring salmon are running, the local lakes are freshly stocked with trout and walleye and smallmouth bass are biting in the Columbia River. Snowed last night but should be in the low sixties tomorrow, good to go. Hopefully the weather clears up for you soon so that we can see some more awesome pictures. Thanks for sharing and keep 'em coming. 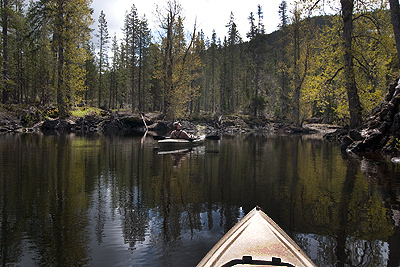 Here are a few photos from our most recent backwoods kayak fishing trip. We were after native trout hidden away in small lakes high in the Washington woods. This is a seasonal lake that is formed when snowmelt freezes in a lava tube. When the ice melts, most of the water in the lake drains into the stream below the lake. 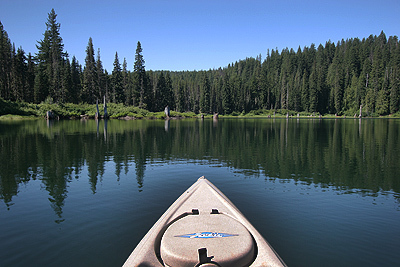 This is an awesome place to fish and paddle a kayak; mountain woods and meadows surrounding a lake made in a basin of prehistoric volcanic lava flows. Not all fun and games, though. Plenty of blown down trees on the road. 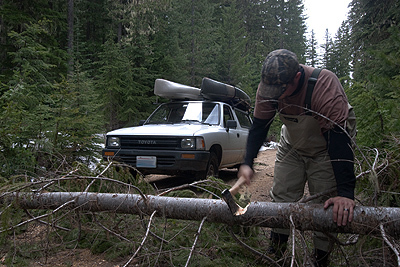 In the photo below, my buddy Chris is chopping a downed tree so we can haul it off the road. Not only blown down trees, but even during the last week of May, snow is still blocking some of the roads. Headed up to the high country before dawn to take advantage of the first real summer weather. Trout fishing was unbelievable. 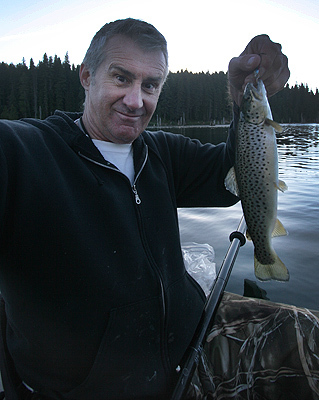 Caught at least fifty fish; browns, cutthroats and brookies. More video and photos to come. Woke up at 3:15AM this morning, spent all day yanking, looking forward to a little sleep. After catching and releasing a brown trout in a Washington lake, a bald eagle, attracted by all the commotion, swoops in right in front of the kayak and grabs a fish. 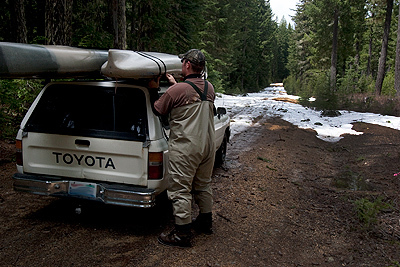 It's warming up quick but the backcountry trout fishing is still pretty good. While much of the United States is suffering through one of the worst winters in years, the weather here in the Pacific Northwest has been unbelievably nice. Sure, we've had some snow, but for the past couple weeks, the weather has been unseasonably warm and dry. The warm weather has allowed us to start the kayak fishing season a few months earlier than usual. 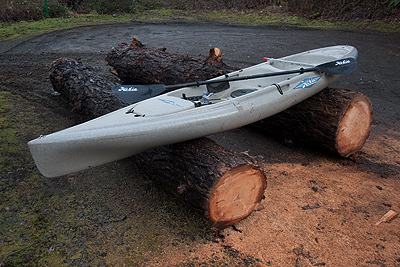 Kayak fishing in the Pacific NW is just a little bit different than anywhere else. Hopefully, the milder than usual weather trend will continue and allow a long fishing season and early access to the high altitude lakes and a longer season for the warmer waters. We try to keep an up to date account of daily adventures on the blog and have new photos, videos and other kayak fishing stuff on the website. 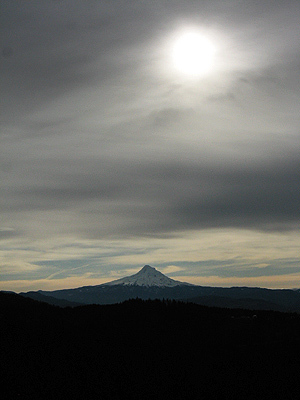 Thanks VTJim-The Pacific NW is a great place to be an outdoors person, on water or land. Unfortunately, after a run of unseasonably nice weather, we are buried in snow and it's very cold, it will be a few weeks at least before we can get to the lakes at the higher elevations.